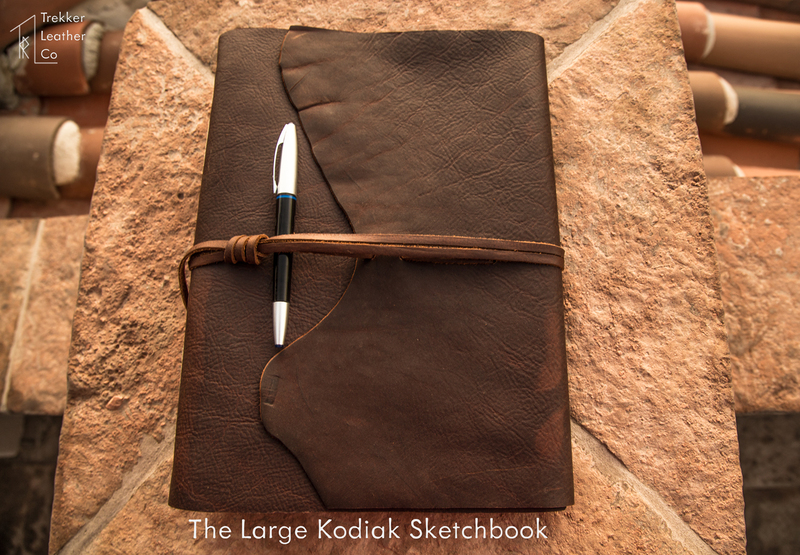 A large sketchbook intended for multiple mediums. 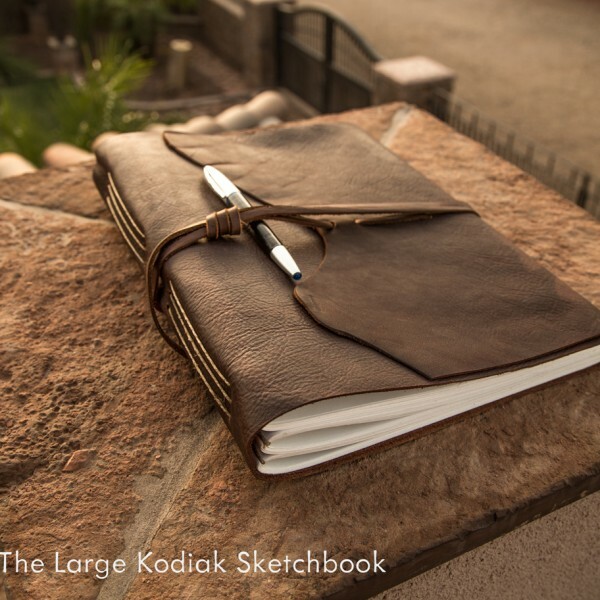 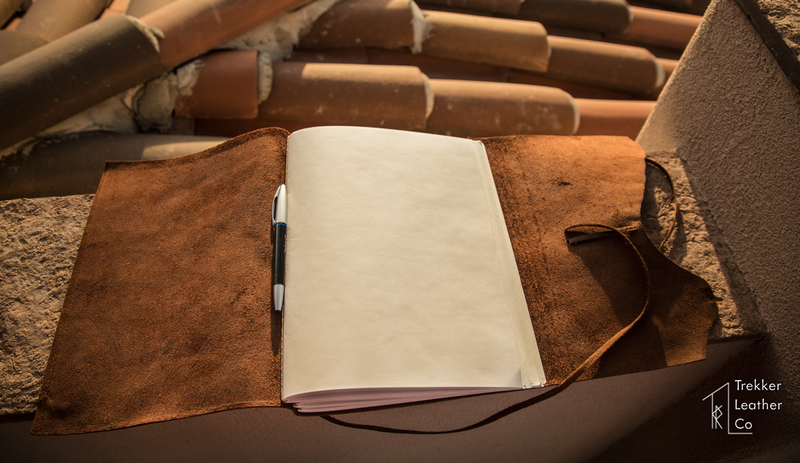 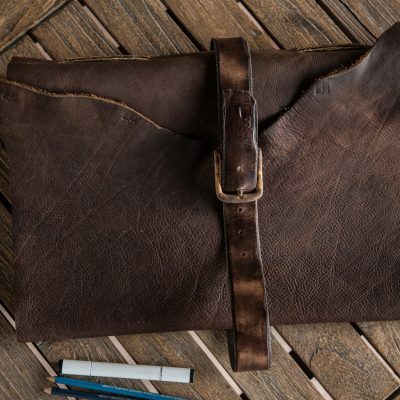 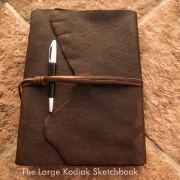 This 9″ x 12″ leather sketchbook is made for an artist who wants versatility. 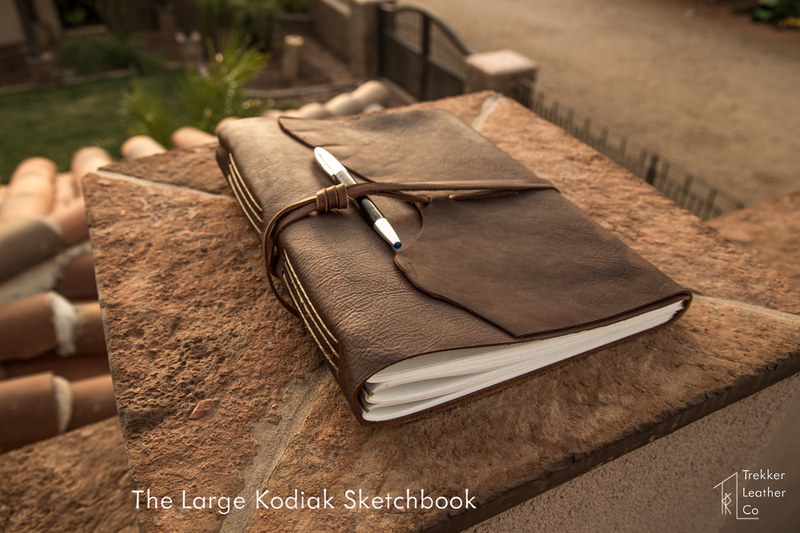 The 70 lb. 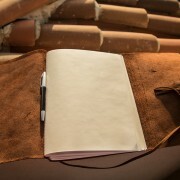 Canson drawing paper is perfect for pencil, charcoal, light watercolors, and other similar mediums. 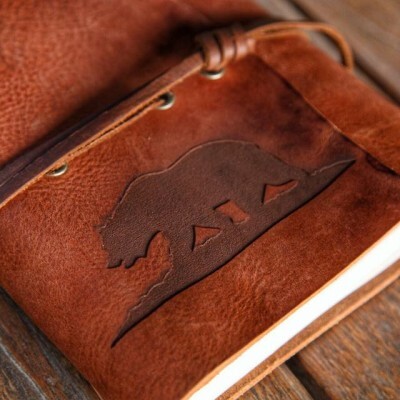 The leather is made of Brazilian kodiak bear, and the two-tone effect from constant use makes this a book with amazing character. 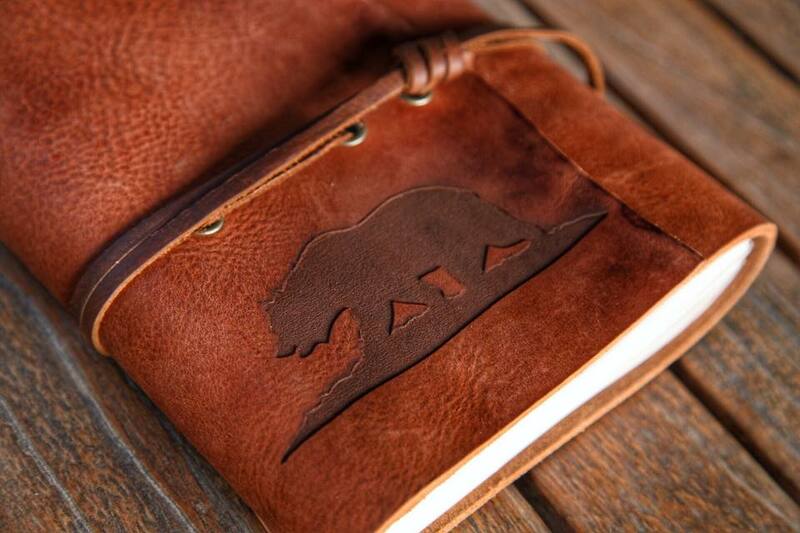 We offer a wide variety of different customization options: custom laser engraving, reinforcement eyelets, custom stamping, page dividers, other stitching colors, and more. 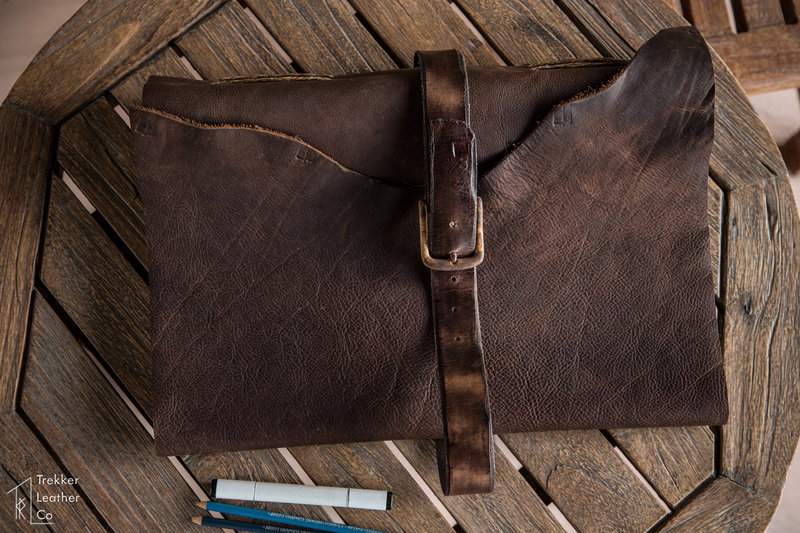 If you are interested, please contact us via trekkerleatherco@gmail.com for a custom order, or you can contact us through our Etsy Shop, and we can make a custom order for you there as well!